A Shower Gel and Body Milk combined! The waters of the island of La Toja are recognised for their.. 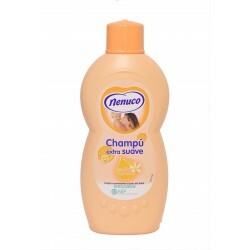 Bundle includes Anti-lice Shampoo (treatment and prevention) and Nenuco Spray Cologne (prevention). ..
Anti-lice Shampoo which acts as both a treatment and prevention of Head Lice. Helps to protect ..
Candy scented bath and shower gel is a rich, moisturising cream that protects and hydrates your skin..
Chocolate and praline scented bath and shower gel is a rich, moisturising cream that protects a.. 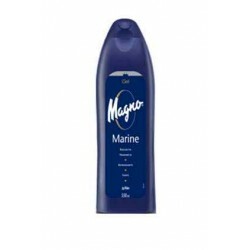 This has the same fragrance as the Denenes Cologne and is very popular in Spain. It is ph neutral an..
Moisturising shower gel, containing olive leaf extract which protects and moisturises your skin. 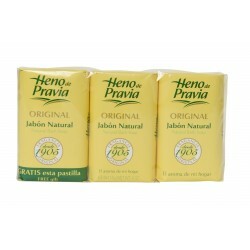 Thi..
Natural, gentle, hydrating soap with a creamy lather. Heno de pravia scen..
Agrado Keratin treatment Conditioner will infuse your hair with keratin,which will ma..
Purchase our Keratin Shampoo Treatment and Keratin conditioning mask together and save ££'s. 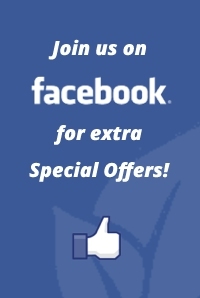 &nbs..
Agrado Keratin treatment shampoo will infuse your hair with keratin, which will make .. Exclusively for men, this soft and creamy shower gel will keep your skin hydrated and will leave a f..
Our mens shower gel has a strong, masculine, lasting fragrance that stays on your skin after you sho.. Beautifully scented Shower Gel enriched with mineral salts taken from Thermal Spring Water. 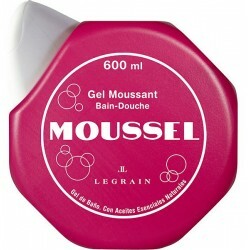 Gorgeous..
Moussel has a unmistakable soft aroma, with a creamy and smooth texture, based on essential oils, it.. 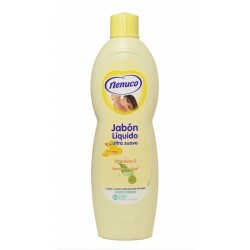 This Nenuco Shower gel contains vitamin E and extracts of Aloe, to clean and care for the most delic.. 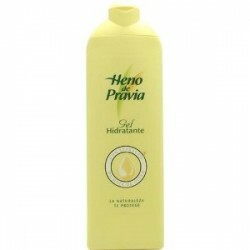 Extra gentle and mild, this shampoo contains honey and camomile. Stimulates senses and achieves fres..
New Nenuco Product! 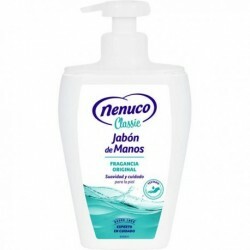 Ideal for the whole family, Nenuco Handwash is soft and moisturising, perf..
With the unmistakable Nenuco scent, this soft and gentle Shower gel is perfect f.. 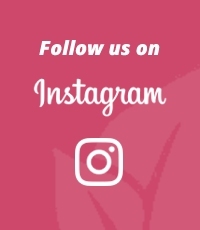 Strawberry and cherry scented bath and shower gel contains natural strawberry and cherry fruit extra..
Moisturising Shower Gel scented with vanilla. the scent is gentle but distinct with warm floral note..